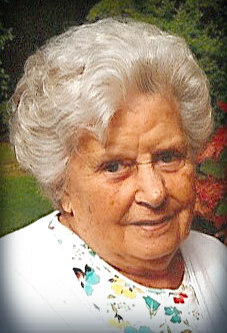 Helen M. Huls, age 90 of Grand Haven, passed away Friday, March 22, 2019. She was born on December 9, 1928 in Grand Haven to the late William and Augusta (Gross) Warber. Helen married John Huls Jr. on June 17, 1949 in Grand Haven. He preceded her in death on April 20, 1994 after 44 years of marriage. Helen was a life-long resident of Grand Haven and worked for her father at Warber Dairy for most of her working years. She was a member of First Christian Reformed Church, where she was a former choir member and assisted with funeral luncheons and various other church activities. Helen enjoyed being a Calvinette Counselor, knitting, and cherished time spent with her beloved family, especially her children and grandchildren. She will be lovingly remembered and missed by her five daughters, Susan (Loren) Van Haitsma, Sandra (Dale) Gabrielse, Linda (James) Workman, Nancy Schuringa, and Katherine (John) Holmlund; son, John W. (Ingrid) Huls; 23 grandchildren; 28 great-grandchildren; brother, William Warber; and several nieces and nephews. She was preceded in death by sisters, Wilamina Warber and Margaret Butcher; and brothers, Fred and Warren Warber. The Funeral Service for Helen will be at 12:00 p.m. on Saturday, March 30, 2019 at Grand Haven Christian School, with Pastor David Spoelma officiating. Visitation will be from 10:00 a.m. to 12:00 p.m. at the school prior to the service. Interment will be at Lake Forest Cemetery. Memorial Contributions can be made to Grand Haven Christian School or Western Michigan Christian School.